Fans of handmade design who feel the urge to create their own masterpieces can now sign up for workshops at Poblenou studio and shop King Kong Design. Founded by Polish designer Kinga Kubowicz, the studio has taken part in numerous exhibitions and creative events. They sell unassembled, cut-and-fold designs that come with a guide so customers can take part in the creative process. 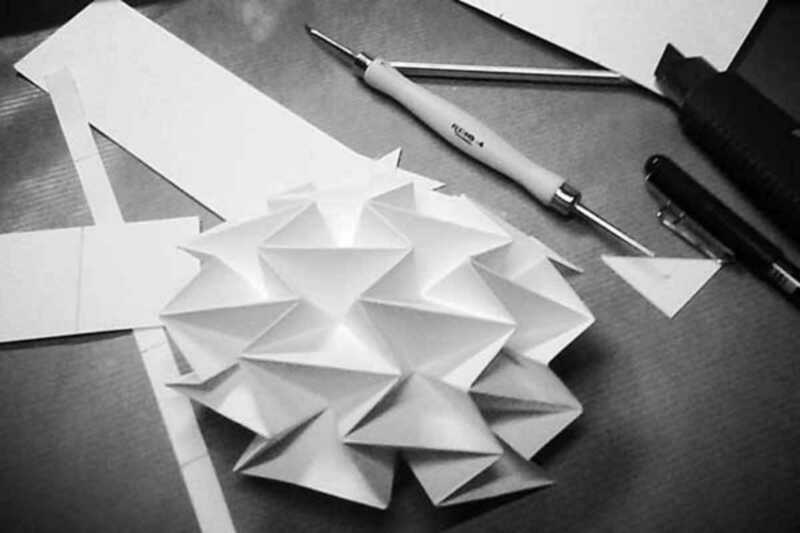 In May, they are teaching the whole process from scratch, beginning with an introductory workshop (May 9th) on cut-and-fold techniques for designing both small and scaled-up objects out of materials like paper, cardboard, textile or plastic. There will also be the opportunity to learn how to make your own lamps (May 16th), then move on to modular design (May 23rd) that offers even more creative scope. It’s an excellent opportunity to hone your crafty skills.